The M·A·C VIVA GLAM campaign launched in 1994 with one lipstick, a bold campaign, and a 100% giving model. They are now celebrating their 25th anniversary, and the campaign has raised $500 million – one lipstick at a time! 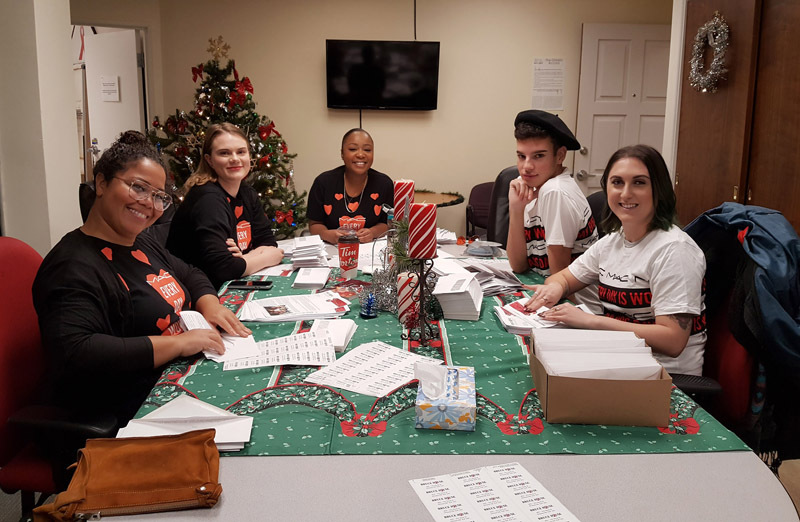 The MAC Angels in 2015 – volunteering at the Bruce House office. The MAC AIDS Fund has awarded Bruce House a one-time $25,000 grant to commemorate the 25th anniversary of VIVA GLAM. This $25,000 is in addition to the grant we apply for every year (we received $20,000 for REST and the volunteer program in December). 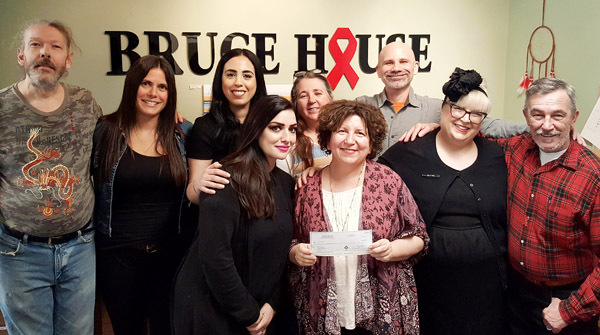 In addition to this financial support, local MAC staff have generously supported Bruce House for over twenty years-from the AIDS Walk to holiday decorating and preparing mail-outs, the Ottawa “MAC Angels” have been a wonderful part of the Bruce House Family. 2018 – helping with the Holiday Appeal mail-out. We are very grateful to have received support from MAC via grants and the generosity of their staff for over twenty years, and to be included as a recipient of their 25th anniversary. MAC is exemplary in their community spirit and culture of giving.